16 December 2014, at 9:40a.m. 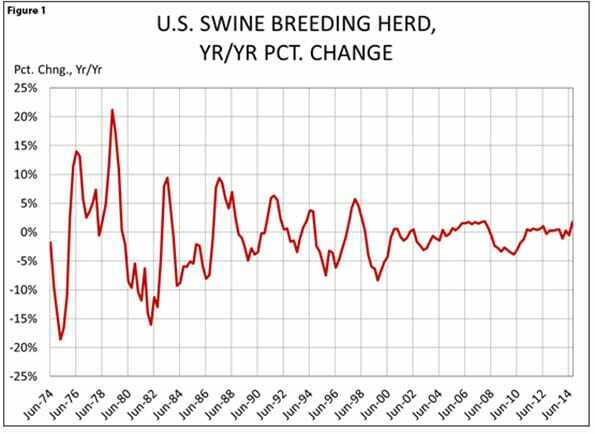 US - A tricky aspect of hog market analysis this fall and winter will be deciphering what is going on with the breeding herd, writes Steve Meyer for The National Hog Farmer. Some may say "Well what’s new about that?" and I would have to concede the point that deciphering what is going on with the breeding herd is always a challenge. Others would say "Why do you care? "It has very little to do with pig numbers and pork supplies anyway!" I would have to concede that that has been true, too. But there are reasons to at least give the issue some consideration. The first is that the December report – and those to come in 2015 – may contain some of the largest year-on-year sow herd changes in years. Figure 1 shows those figures for every quarter since June 1974. What shocked me when I studied this chart is that September’s +1.78 per cent is the second largest such change since June 1998. And we all know (and shudder about) what that figure foretold, right? The more chilling thought is that most everyone expects the December figure to be larger and year-on-year changes next year to be larger yet as producers respond to profits, lower costs, porcine epidemic diarrhea virus (PEDV) losses, etc. The reason for the small increases in the past 15 years is that any growth of the breeding herd had to work against a much more powerful force – efficiency – that was pushing the herd inexorably lower. That force has waned in the past year but will it come back again to the same degree? Second, the data that go into our calculations have likely been screwed up (a real technical economics term there, huh?) by PEDV over the past two years. Consider sow slaughter and the size of the breeding herd. (See Figure 2.) 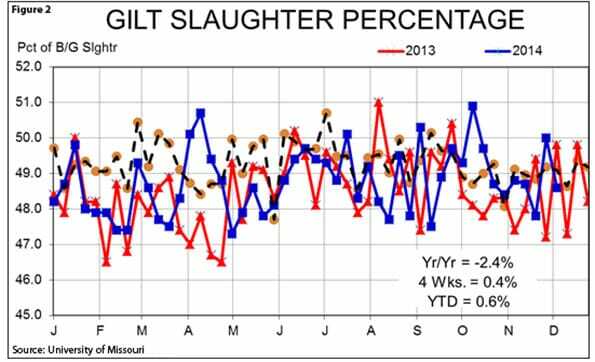 FI sow slaughter was more than 10 per cent lower than last year on several occasions this past summer. It averaged six per cent lower than last year, year-to-date, through September. Quarterly sow slaughter was down 7.1 per cent and 5.2 per cent in first quarter and second quarter, respectively, from one year ago. Yet the breeding herd was 0.26 per cent larger and only 0.49 per cent lower in those two quarters. The breeding herd can indeed be flat in the presence of lower sow slaughter but either sow death loss must be large or gilt retention must be low. There is little publicly available data on sow death loss and we have heard little anecdotal evidence of significant losses, save for a short-lived scare in late-summer regarding a new porcine reproductive and respiratory syndrome (PRRS) strain that has apparently gone away, at least for now. 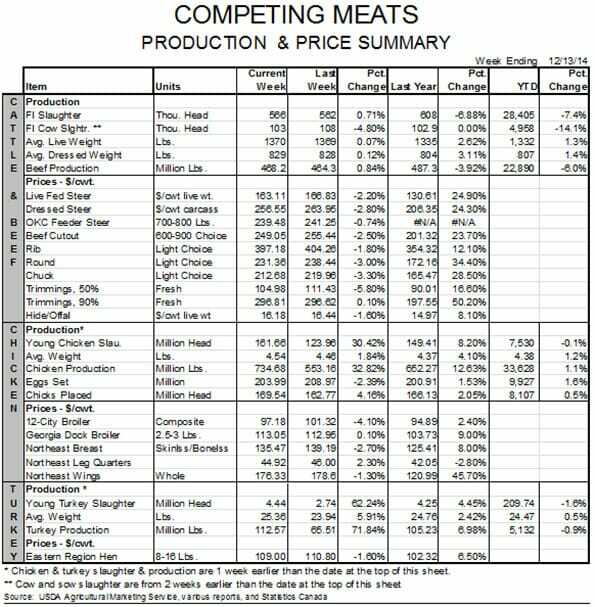 Gilts made up, on average, 48.86 per cent of barrow and gilt slaughter in the second quarter. That is only 33 basis points (0.67 per cent ) higher than last year. The third quarter’s average percentage was 48.87 per cent , 17 basis points (0.35 per cent ) lower than last year. It is hard to see that even those second quarter figures would increase the breeding herd by much. I still expect the sow herd to be larger than one year ago in the December Hogs and Pigs report which will be released on Dec. 23. Readers should make note of this data as this report is usually released between the holidays. 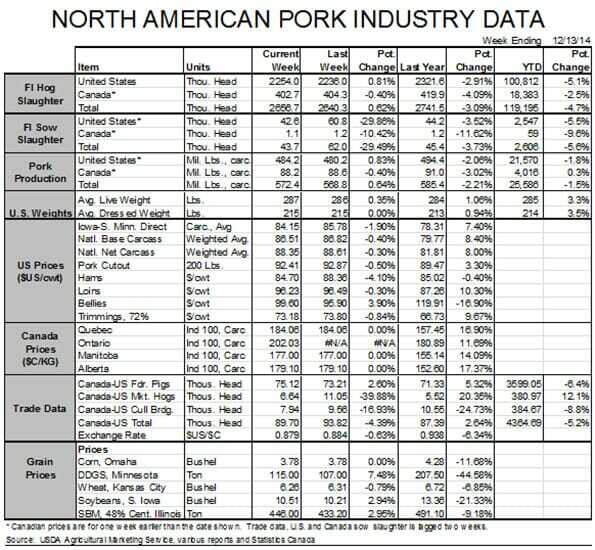 I expect the increase will be around 2 per cent and I believe the surge in sow slaughter in recent weeks is a function of aging sow herds and more gilts being available. The former was caused by the "keep the immune" sow incentive last winter. The latter is due to much less frequent PEDV breaks since May. The multipliers are simply back in business and producers can now swap out those old sows. I know that doesn’t square well with the gilts percentage data and hope we can reconcile the discrepancy, but the data are what the data are and this series has demonstrated a lot of variability over time. It’s never been precise but it’s all we have. Hope your Christmas season is in full swing with plays, musicals and enough carb-loaded goodies to drive everyone to the blood glucose diagnostic line. Cherish these times. I was reminded to do that again just this morning as I joined family and friends to say goodbye to a dear friend just 43 years old. Our days are numbered by someone much greater and wiser than us. Make them count, friends.